English Bulldog Santa - add a Bully fun touch for the Christmas & Holiday season - dog Holiday decal! Announcement Boston Terriers, English Bulldogs, French Bulldogs, Boxers and Pugs to name a few. There is something special about those snorting, wheezing, farting, wrinkly, flat face, smush face, snub nose, squish face, short nose, little muzzle, smashedface, brachycephalic, Smooshface dogs (aka: Smooshies)! Boston Terriers, English Bulldogs, French Bulldogs, Boxers and Pugs to name a few. There is something special about those snorting, wheezing, farting, wrinkly, flat face, smush face, snub nose, squish face, short nose, little muzzle, smashedface, brachycephalic, Smooshface dogs (aka: Smooshies)! 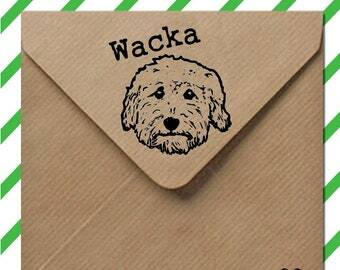 Wacka Doodle! Goldendoodle gift - original Doodle stamp - wood mounted stamp with handle or self inking - great Labradoodle oodle gift! Goldendoodle stamp - custom dog stamp - add your text - wood mounted stamp with handle or self inking - great Doodle gift! Doodle love stamps! 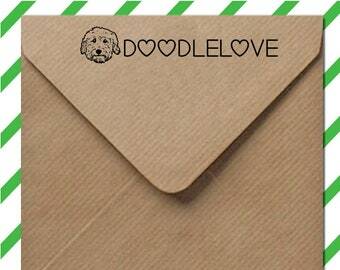 Goldendoodle stamp or Labradoodle stamp - Send doodle love! Wood mounted stamp w/ handle or self inking - Doodle gift! 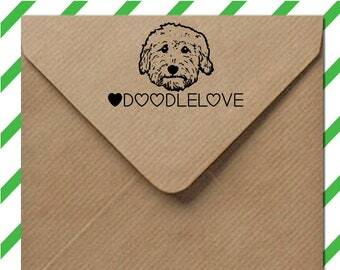 Goldendoodle stamp or Labradoodle stamp - Doodle love! Wood mounted stamp w/ handle or self inking - great Doodle gift! 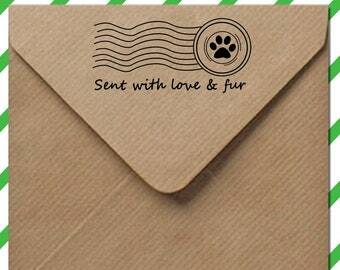 Sent with love and fur - great dog stamp - rubber stamp or self inking, perfect for greetings cards DIY crafts -dog gift idea! 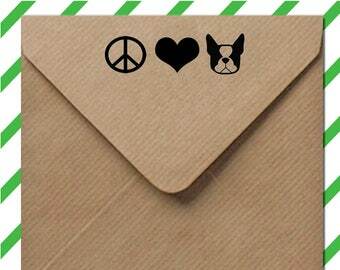 Peace love Boston Terrier stamp - wood mounted stamp with handle or self inking- great addition to a Boston house! 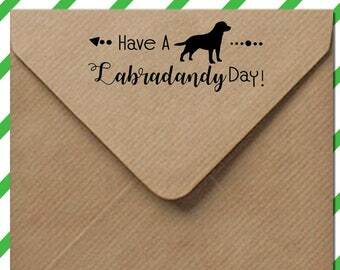 Labrador stamp - Fun Lab stamp - Golden Lab, Chocolate Lab - wood mounted stamp with handle or self inking - great Labrador Retriever gift! 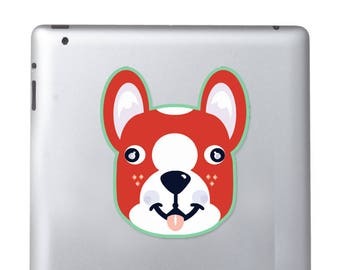 Silly Boston Terrier dog decal vinyl stickers in funny Kawaii style - Boston breed bias - #bostonlove - great Boston gift!! 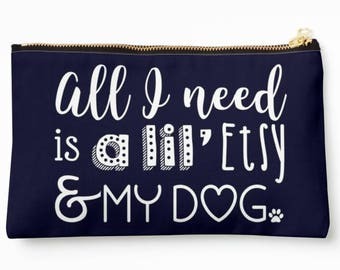 All I need is Etsy and my Dog | fun dog bag, fun dog pouch, dog shopping sleeve, pocket, clutch, organizer - perfect for gifting! 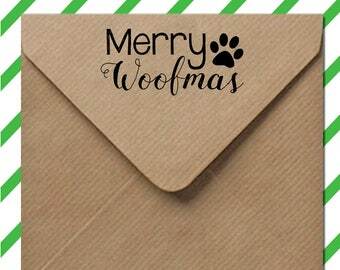 Merry Woofmas dog stamp - Holiday gift or pet stocking stuffers - perfect for DIY Christmas letters or gift tags from the pack! 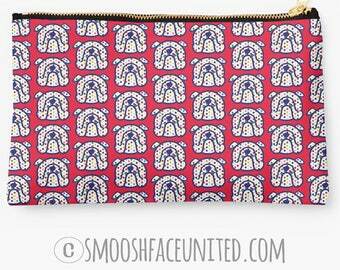 Adorable Bulldog bag - zipper pouch, sleeve, pocket, clutch, organizer - English Bulldog fabric - YOU CHOOSE design! Perfect Bully gift! 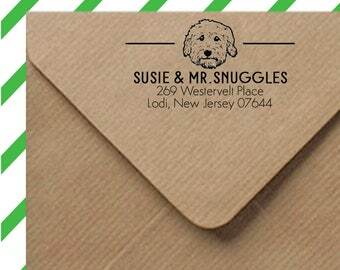 Goldendoodle address stamp - custom self inking dog stamp - great Doodle gift! Show off your Goldendoodle, labradoodle love - Free shipping! 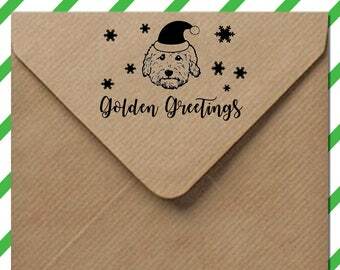 Goldendoodle Christmas stamp - custom Goldendoodle Holiday Greetings - Goldendoodle Santa - great Doodle gift! English Bulldog rubber stamp - Bulldog love - Bully dog gifts! 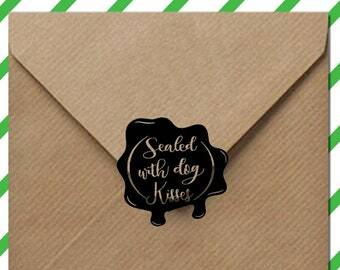 pet stamp - wood mounted stamp with handle or self inking - ANY dog breed! Goldendoodle Santa stamp - custom dog stamp - Labradoodle Santa - wood mounted stamp with handle or self inking - great Doodle gift! Peace, love, and pets - custom return address stamp - personalized self inking stamp - great for gifts! Mutt dog stamp - Muttastic Day paw print - rubber stamp or self inking - mixed breed stamp - designer dog - dog lover gift idea! Goldendoodle - 'have a golden day!' 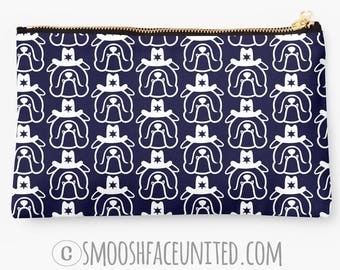 zipper pouch, sleeve, pocket, clutch, bag, organizer - color OPTIONS - great Golden doodle gift! Goldendoodle zipper pouch, sleeve, pocket, clutch, bag, organizer - color OPTIONS - great Golden doodle gift! 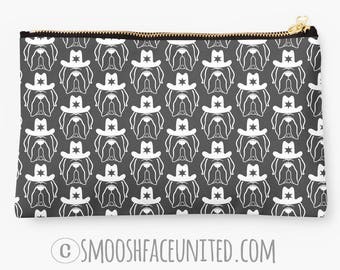 Boston Terrier zipper pouch, sleeve, pocket, clutch, bag, organizer - color OPTIONS - Boston Terrier fabric print - perfect for gifts!! 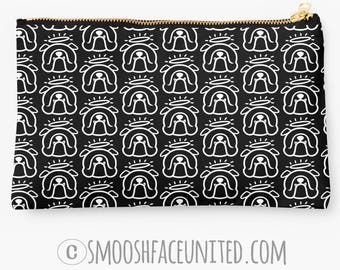 Shih Tzu zipper pouch, sleeve, pocket, clutch, bag, organizer - Shih Tzu fur mama fabric print - perfect for gifting! 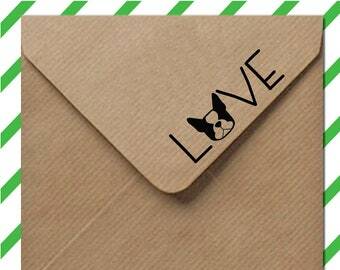 Dog love stamp - L O V E paw print - rubber stamp or self inking, perfect for scrapbooking, greetings cards DIY crafts - gift idea! Really like this. Ordered it 2 times. On time. owner of shop was very helpful. Sticker is adorable and exactly as depicted. Arrived very quickly!! Nothing says LOVE like a paw print in your life! Lily and her new decal! Spreading love of the Smooshface dog breeds! 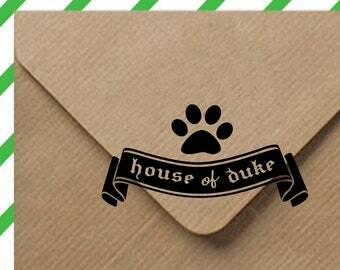 My shop donates to many rescues, auctions, contests, etc throughout the year. Your purchases and support keeps the shop alive which allows me to do. Thank you. My name is Maggie and I live in Florida with my husband and kids. I have 2 - four legged babies and 3 - two legged kiddos. Thanks for stopping by the shop! The boys run the shop - I'm just here to assist! 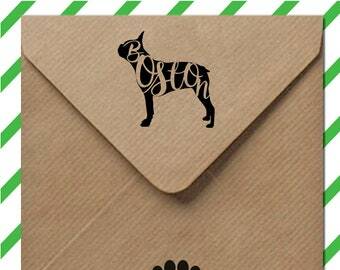 5 star rated company that helps me to fulfill my Boston Terrier product obsession. I loved the product and after ordering a dog tag for my personal use decided that I 'had to have' them in my shop. She stamps all the tags by hand giving them a unique presence. RUFF! Thanks for stopping by! I want all of my buyers to be happy with their purchases. If for any reason you are not satisfied please let me know right away and I will make it right. You may return an item in perfect condition for a refund but buyer will have to pay for shipping. For damaged or lost items (20 days after shipment), a replacement or refund will be offered. Unfortunately, custom orders or digital downloads may not be returned. Thanks! Cost of shipping covers materials and shipping. If your order is a gift going directly to the recipient, I can include a personal message card from you for no extra charge. If you would like this service please let me know what you would like me to write in the "message to seller" during checkout. All products are shipped first class through UPS or USPS first class. Shipping times vary but normally take between 3-5 day in the US. I welcome wholesale orders! Please contact me for more information.